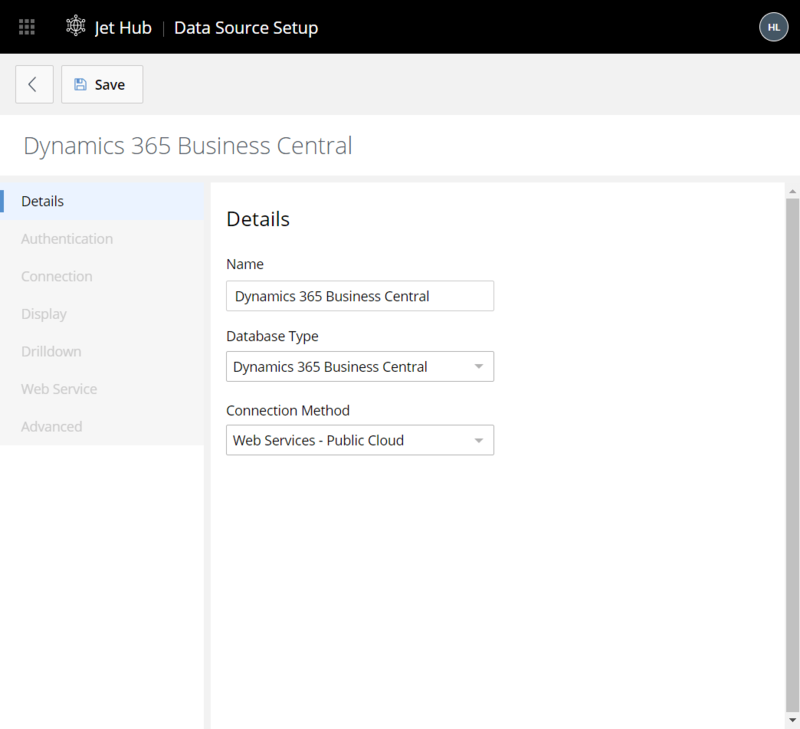 You can define a data source connection to a public cloud installation of Dynamics 365 Business Central directly within Jet Hub. 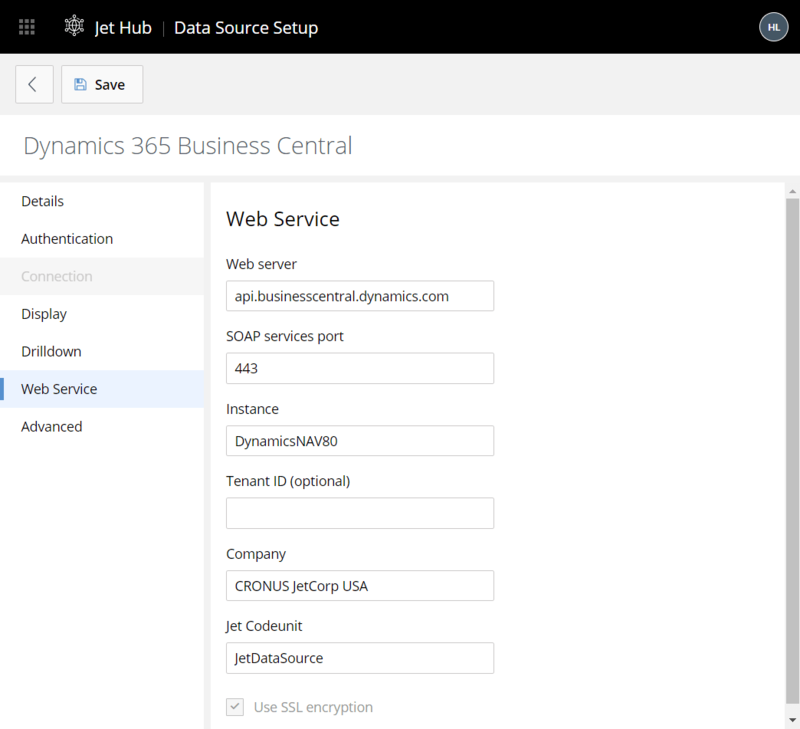 The data source will be available from both within Jet Hub and the Jet Excel add-in. 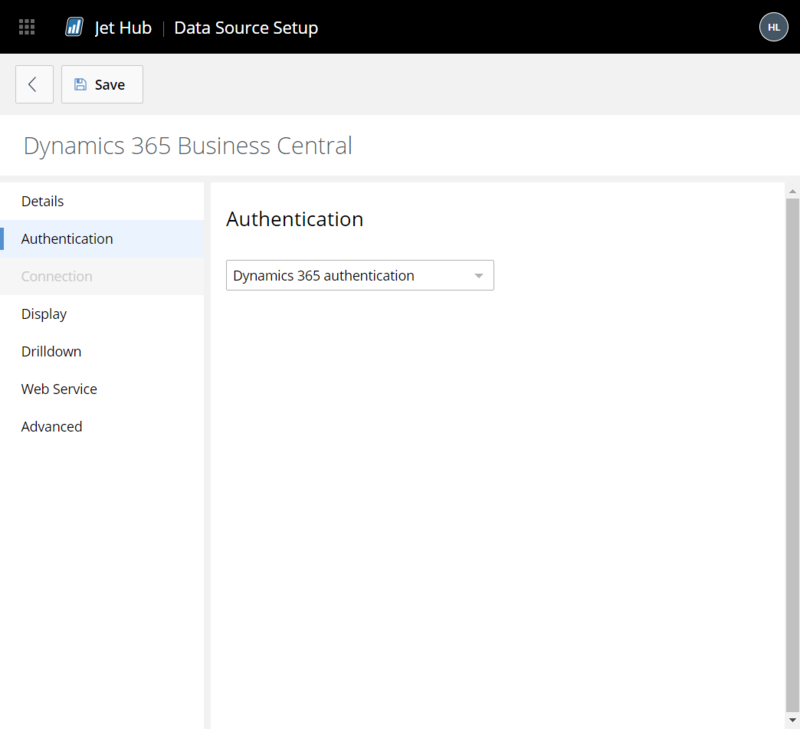 Ensure that Dynamics 365 authentication is shown. Enter the name of the default (even if it is the only) Company name within the database. Ensure that the Jet Codeunit setting is configured for JetDataSource. Configure any other settings are instructed by your system administrator. If needed, adjust any defaults in the other settings sections (contact your system administrator or specifics). 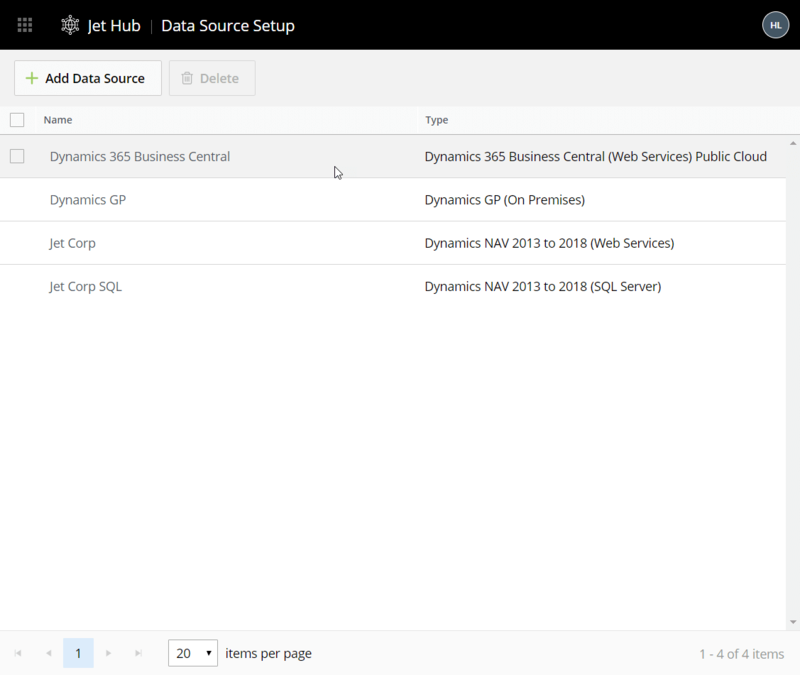 Your new data source will be displayed on the Data Source Setup screen. To test your settings: start Excel with the Jet Excel add-in enabled; using the Jet Data Source Settings, access your newly-defined settings; from the Authentication tab, click Log in.